Below are the standard Science materials provided for each secondary grade. Some grades may include additional pieces. Each student edition uses colorful photos and illustrations, helpful charts and diagrams, and age-appropriate content to make science more exciting and accessible to middle school and high school students. Special-interest boxes are included to augment the text, help students to think critically about a topic, and encourage them to consider specific careers in science. The teacher edition for each grade contains full-color, reduced-size student pages—plus tons of extras, such as activities, ideas for discussion, and intriguing chapter openers to make learning that much more memorable. Lab manual exercises help enrich the lessons, giving students hands-on experience with some of the objects, concepts, and processes they are studying. Each lab manual uses a variety of written exercises that students complete in each lab. The teacher lab manual contains full-color, reduced-size lab manual pages with answers as well as additional instructions on preparation and execution of lab exercises. 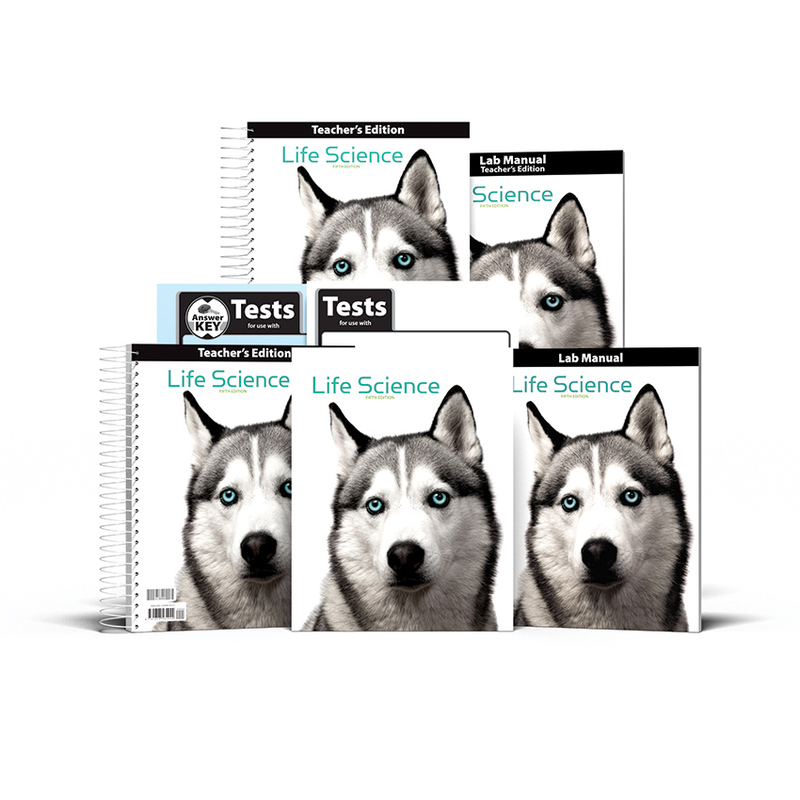 Each assessment packet contains one age-appropriate test per chapter, covering the most important concepts taught in the lessons. The assessments answer key is available for each grade.